Superstar grows his beard thick for the Ranjith film? 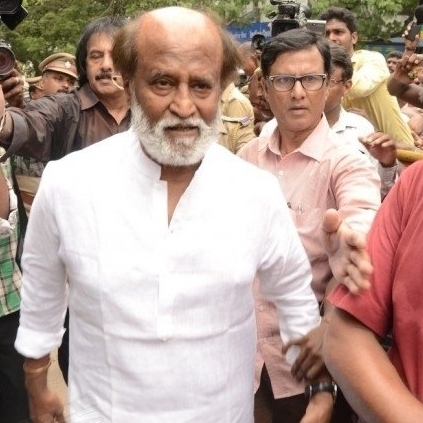 Ever since the Ranjith project got announced, Superstar Rajinikanth has been laying low keeping away from public appearances. But today (14th July), the style icon was seen paying his last respects to M S Viswanathan with a thick white beard, like the one he had during the Sri Ragavendrar days. Going by some creative imagination, questions have been raised whether Rajini is grooming this beard for the Ranjith film. Having sported a beard in his earlier films like Polladhavan, Baasha, Muthu, Arunachalam, Padayappa, Sivaji and even Enthiran, we can expect a whole new makeover for the mass actor when he’s playing an ageing gangster in this Ranjith film. Imagining how great or ecstatic Rajini’s look could be, this beard is definitely raising our expectations. Superstar Rajinikanth And A.R.Murugadoss To Join Hands In The Near Future? People looking for online information on Attakathi Ranjith, Rajinikanth, Superstar Rajinikanth will find this news story useful.